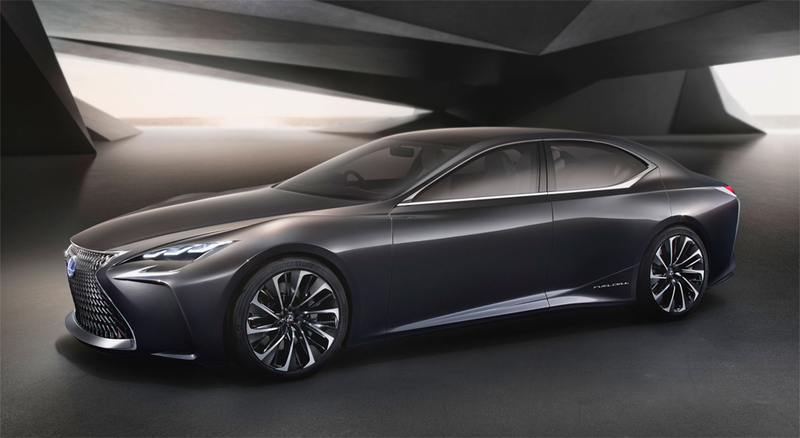 Lexus to Introduce Fuel Cell Vehicle by 2020? Discussion in 'Lexus Lounge' started by krew, Nov 16, 2016. Will the LS be the first fuel cell vehicle in the lineup? Restyle the rear and you have the perfect LS! Interesting in light of the Nikkei article about full-EV (battery) Toyota/Lexus cars. Of course, a fuel cell LS and a battery-EV LS would have the same actual drivetrain, just the power source would be different. Fuel Cell technology is a very unwise decision because all other companies but Hyundai is using regular EV powertrain and there will never be enough Fuel Cell Vehicle Charging Stations as Superchargers in the public. Wasn't there a separate report somewhere that Toyota is planning on using regular EVs now? corradoMR2 and Levi like this. If they actually have the infrastructure in Japan they might make FC versions for there and plain EV for export. As I said, the actual powertrain is identical since FC just generates electricity from hydrogen; you can use the same motors / computer controls / etc. corradoMR2, meth.ix, RAL and 1 other person like this. The Toyota Mirai does not have better performance (0-100 km/h) than the Chevrolet Bolt. I have yet to see a performance FCEV. BEVs also have overheating issues on track, but a Tesla has no issues on the road. More than that, Toyota will never build a good BEV if they do it like Renault/Nissan or BMW (not i3 but X3 eDrive), by basing their BEV on an ECEV platform. BEVs allow new design direction compared to ICEVs (see Tesla 3 and Jaguar I-Pace), with short overhangs and low hood line, more interior space, more advanced suspension geometry, increased turning radius, better implementation of AWD and AWS, overall better balance and lower center of gravity. FCEV are closer to ICEVs in terms of packaging than they are to BEVs. meth.ix and Ian Schmidt like this. You're of course right. Given the 5LS and whatever other Lexus vehicles this impacts will still be offered in ICE form, any EV version will by definition not be an effective use of space. I would love to see what the designers could come up with for a pure EV LS without ICE packaging considerations. It cannot come soon enough though to meth.ix's point, there will surely be some adoption challenges. Tesla recently announced solar-roof panels on its cars (though Prius had that first I believe). Lots of other new EVs/hybrids coming. This will be a very interesting next 5 years in the automotive industry.